Noticias de CAMACOL: Is This What You Had in Mind for Retirement? Pre-retirees expect inheritances and income from selling a home to play bigger roles in retirement than they do now, a poll finds. Retirement can seem like an abstract idea until we're alarmingly close to it. It's a little like dying—inevitable, but who wants to think about it. For that reason, many of us put off important moves that could make old age easier for us and our heirs, such as estate planning and writing living wills. 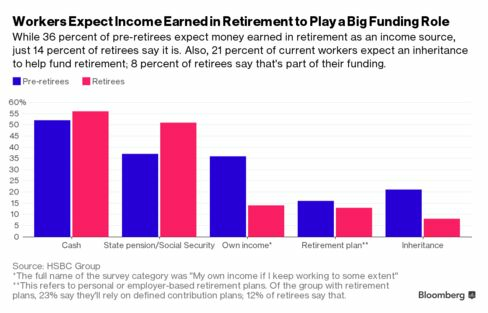 When pre-retirees do contemplate retirement today, a new survey (PDF) by HSBC Group suggests, we're either working off a new model of funding it or we're out of touch with where our money actually goes in retirement, as the chart below shows. The survey found that Americans, on average, spend five more years in the working world than their global peers, for a total of 35 years. 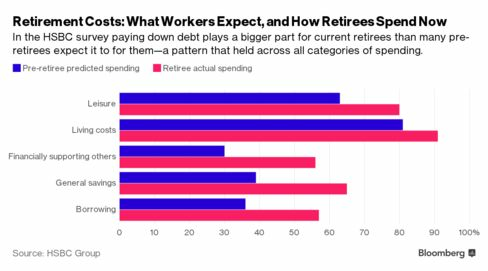 Also, today's pre-retirees expect to save for seven more years than current retirees did. That makes sense since Americans lack much of the mandated level of savings and social services that are the norm in many other developed countries. Pre-retirees in the U.S. are more likely than current U.S. retirees to expect future retirement income from selling property, either by downsizing or selling a primary or secondary home—17 percent vs. 10 percent. Among the 17 countries surveyed, that compared with 26 percent for Australian pre-retirees, 9 percent for workers in Mexico, and 4 percent for pre-retirees in Egypt. A higher percentage of pre-retirees with children expect to feel happy in retirement than do childless workers—71 percent of working adults with kids, compared with 66 percent of those without children. Cash is what 52 percent of retirees are using to fund their retirement, followed by stocks (38 percent), mutual funds (32 percent), and a spouse or partner's income (29 percent). The average across 17 countries is 41 percent, and the U.S. is topped only by Hong Kong, at 62 percent, and Singapore, at 59 percent.